Sun exposure, stress, hormonal changes and aging can all have an impact on your skin’s appearance. Over time, your skin begins to lose hyaluronic acid and collagen, resulting in fine lines, wrinkles and a loss of volume and elasticity. Dermal fillers are formulated with hyaluronic acid, a natural substance already present in the human body that plays an important role in giving firmness and volume to the skin and lips. Hyaluronic acid – based injectable fillers, such as Juvederm can help achieve this. Dermal fillers offer the benefit of immediately visible results; however, these results are not permanent, and periodic follow-up treatments must be conducted in order to maintain the results. 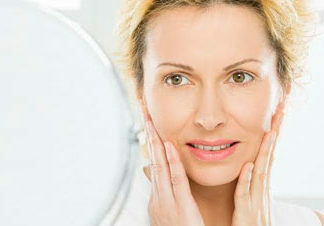 Botox and other skin rejuvenation treatments are often used in conjunction with dermal fillers. Recovering from most dermal filler injections requires little to no downtime. Most procedures allow you to return immediately to work or other daily activities, although it is advisable that patients try to avoid strenuous activity during the first few days. Dr. Menesi will discuss the risks and benefits of Facial Filler injection at your consultation to confirm that this is the best course of action for your particular needs.